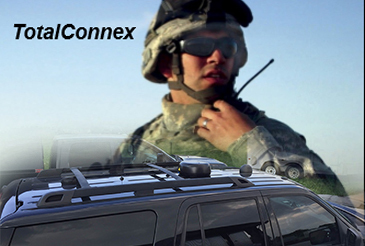 Cinetcomm TotalConnex is a hybrid network solution marrying FirstNet, 3G/4G/LTE, Mobile and Fixed Satellite to provide 2-way radio, broadband data and telematics services for field forces on a least-cost routed, best quality of service basis. This managed services network provides 100% coverage across North America, without any operator intervention or Agency investment in infrastructure. This comprehensive solution enhances and supplements existing LMR systems and LTE broadband networks. 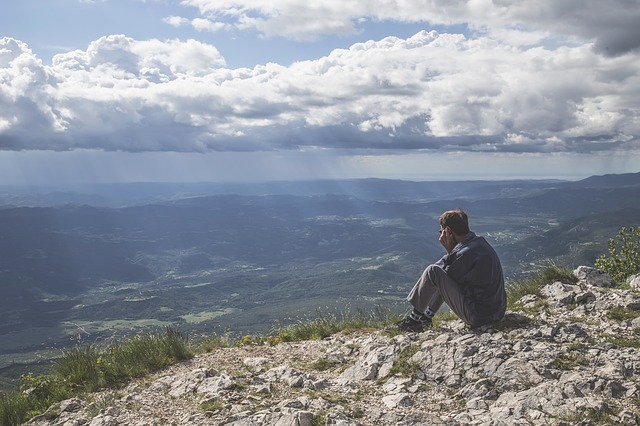 Geographically dispersed agencies and enterprises whose missions require connectivity everywhere can achieve this without the expense of maintaining their own wide-area infrastructure for 2-way radio and data networks. 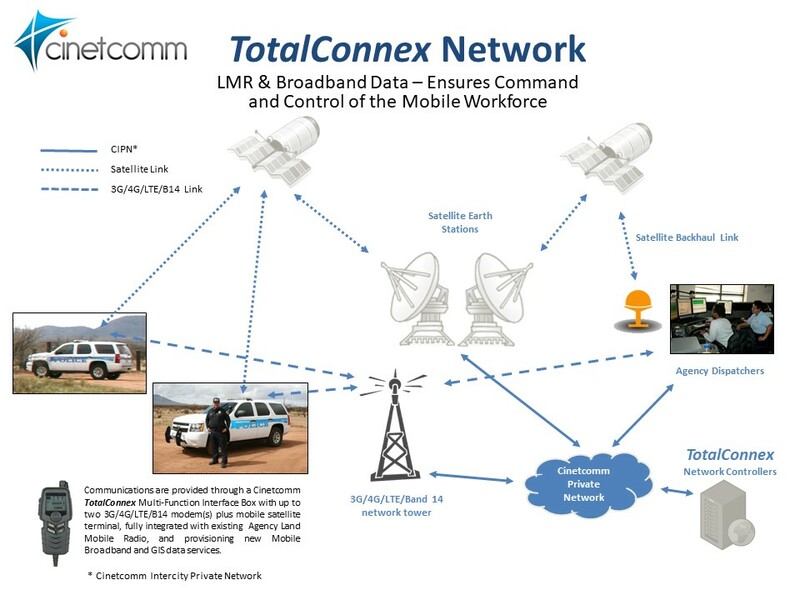 TotalConnex is the “digital glue” that provides seamless connectivity for process management, communications and interoperability where none might otherwise exist..
Cinetcomm’s TotalConnex Network managed service platform operates through geographically-diverse hubs at satellite and telecom facilities distributed across the planet. When coupled with Cinetcomm’s satellite network connectivity, any element of the network has infinite “reachback” to a higher command or supervisory home base. Cinetcomm’s customer engineers stand ready to illustrate how easy this can be implemented for your organization. Contact us today to get started.